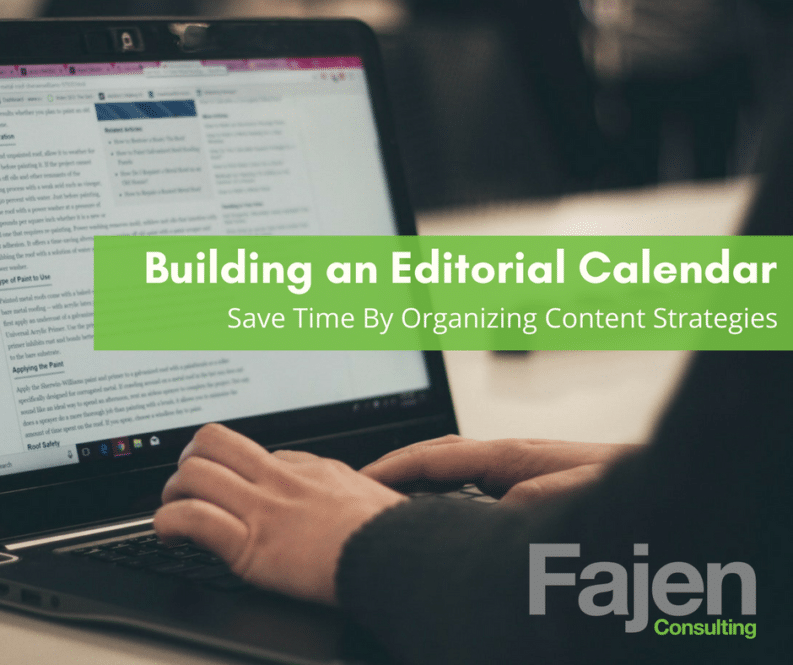 As both a content curator and marketing strategist for Fajen Consulting, the Editorial Calendar is an essential tool for capturing brainstorming, planning content and executing on the right message at the right time. The benefit of an Editorial Calendar is its multi-function role as a roadmap that outlines expectations, provides clear roles and responsibilities, and assurance that your marketing message will be promoted, heard, and measured. But the secret of the Editorial Calendar is in its time-saving power. Afterall, if content is still king, then organizing your plan for content needs to be captured in one organized place. According to Mobile Technology Product, using the correct organizational tools can improve time management by 38%. Consider that for every hour of planning, 3 to 4 hours are saved from redundancy, waiting for information, not being prepared and poorly managed tasks. There are handfuls of free templates available to begin organizing your Editorial Calendar. Most operate similarly, so explore the layouts that best meet your content campaigns. Identify Objectives. Before you begin, discuss what you want to achieve with your communication’s strategy. In this space, it’s ok to have up to three or four outlined goals. As we move across the Editorial Calendar and build content, we’ll consider those goals. They will be a constant guide for the content that is developed. Sketch out Mediums. Along the left column build a cell for every medium you plan to integrate with your content marketing strategies. Add in Audiences. Depending on your target audience layers, you may be building an Editorial Calendar for each separate target audience. For instance, a young professional should be communicated to differently than a retirement-aged target. Your marketing firm can help you identify your audience and build detailed personas that help you better understand their hot buttons and needs and then how to communicate your solutions to them. Measures of Time. Along the top, you’ll add in your timeframes. Are you planning by day, week, month, or season? For social media managers, weekly calendars can be incredibly An important deliverable to guide all communications efforts will be the Editorial Calendar. Once Fajen Consulting understands your brand and marketing message, we work to map your messaging into an Editorial Calendar that will guide you through a 12-month journey with approved, on-brand communication content. Brainstorming Content. This is the fun part. You can attack this in a variety of ways (and trust us the upfront work here will save critical time as you journey down the road of the calendar). It’s time to work on the messages that will meet the goals, capture the needs of the audience, and give curators enough detail to start their content. We’ve also come at this with fully developed, client-approved content that does all the work now so that teams can copy, paste and tweak as needed into appropriate mediums. This is a better application for weekly content rather than monthly. We’ve also simply applied themes and high-level summaries rather than full-blown content. The choice is yours. Assign Roles. This is hugely helpful when it comes to blogging responsibilities that are shared among members of your team. Within your Editorial Calendar add the name of each curator for each medium. Approve and Publish. To make sure every team member has a visual of this content marketing strategy and roadmap, we recommend having these professionally printed and posted in workspaces to keep everyone on pace. Be Prepared to Adapt. Inevitably, a disruption in your perfect plan will always arise. Whether its a tradeshow that pops on the calendar, a public relations earned media opportunity or change in business services for your company, your Editorial Calendar is a roadmap but one that is meant to be flexible, if short detours are needed. When you apply organizational tools, like an Editorial Calendar to your marketing tactics, you’ll be planning your content strategically to buyer personas and objectives in a time-saving way. 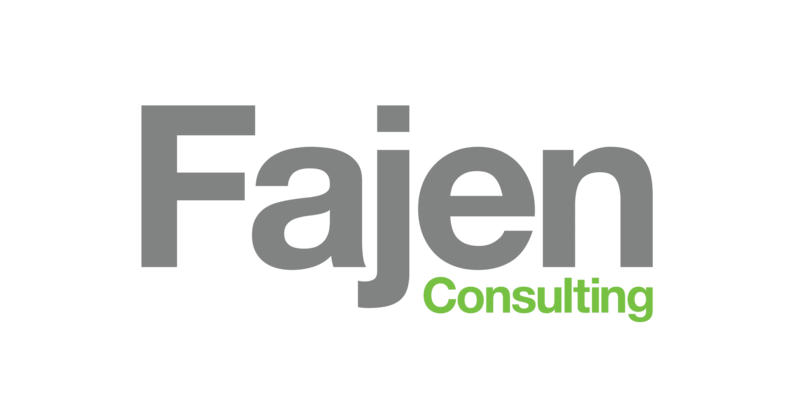 For Fajen Consulting, we adhere strictly to our Editorial Calendar; it’s our roadmap for seasonal promotions, themed email content, blog topics, and social posts. Taking the time upfront will pay efficiency dividends in the end and relieve undue stress for your teams. Discover more about our marketing services.